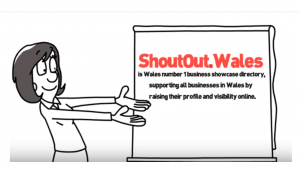 Shout Out Wales specifically provides marketing support to small businesses, marketing departments and professionals to help increase their visibility and profits and get them in front of their target customers. From basic business listings to prime position adverts, social media management, email marketing campaigns, Google advertising, Facebook advertising, keyword analysis and search engine optimisation (SEO) – get listed for the keywords you are targeting. We offer businesses a diverse range of specialist digital marketing services to maximise the presence of their business online. Whatever your budget we will offer a digital marketing service which will help your business to increase its visibility and profit. We help people find and view your business. We make it easy for people to find a local business to use and support. We encourage Welsh businesses to support other Welsh businesses! Growing and keeping business in Wales.